Braces allow orthodontists to correct a misaligned or crooked tooth by applying controlled force to it. When force is applied to a tooth, the periodontal membrane--a membrane that surrounds the bottom part of your tooth--shifts position, moving and loosening your tooth. The adjacent bone, called the alveolar bone, remodels itself, growing into the gaps and secures the loose tooth in its new position. Braces are composed of four components: brackets, which are placed on individual teeth; bonding material, which bonds the brackets securely to the teeth; an arch wire, which runs through each bracket and applies pressure to the teeth; and ligature elastics, which are small rubber bands that secure the arch wire to the brackets. During an initial exam, a qualified orthodontist will review your medical and dental history, as well as any pertinent X-rays, and do a basic examination of your teeth. She will then have a good idea as to whether braces are necessary. In a second appointment, she will do a full examination, including a complete panel of X-rays, and will make a cast molding of your teeth. She will then be able to tell you what to expect and exactly what your options are. To attach your braces, your orthodontist will first apply a polish, a conditioner and a special primer to your teeth. He will then place the brackets on your teeth in very specific positions, using bonding cement to secure them. Some cements require exposure to concentrated light to cure, or harden, while others are self-hardening. After the bonding process, the orthodontist will position the arch wires in the brackets and secure each one with a small rubber band. The arch wire is a firm but flexible metal wire that applies gentle, continuous pressure on the teeth. Most patients wear braces for about two years, although this may vary depending on individual circumstances. As ligature bands expand and weaken, they will need to be replaced. Arch bands need to be tightened periodically. There are several types of braces. The kind you wear will be determined by the severity of your misalignment, how long you will be using the braces, your cosmetic preferences and how much you are willing to spend. Metal braces are the least expensive but the most obvious type of braces. Ceramic and clear braces look much more natural, but it can take months longer for them to correct your teeth, and they aren't strong enough to correct serious problems. Invisible braces are appealing because they are "invisible," but they can only correct minor problems. Lingual braces--those that are placed behind the teeth--are very difficult to place and require a specialist's expertise. trays called aligners that gradually shift your teeth over time. The aligners are virtually invisible and can be removed during meals. Keeping your teeth clean is much easier with Invisalign because there are no brackets or wires to clean. Advanced Dental offices make flexible affordable payment plans available to help you make your smile perfect. 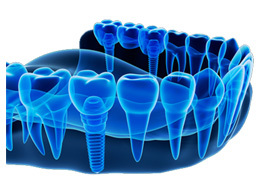 Please call Scarsdale Advanced Dental office and our stuff will be happy to answer any questions you may have. Advanced Dental Scarsdale office has invested in a low radiation x-ray machine that has the capability to take both 2D and 3D images. 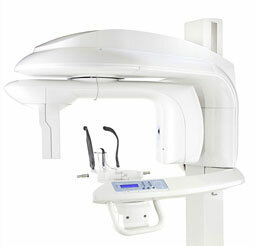 Having the option to use 3D imaging in select cases allows us to provide the highest quality care for our patients. With this state-of-the-art advancement in technology, we can ensure that complex cases have an accurate diagnosis and fully customized treatment plan for your individual needs.